The Easy Reef DKI Marine 0.8mm 70g Fish Pellet is a small-sized, nutrient and amino-packed fish pellet designed by the creators of Masstick. 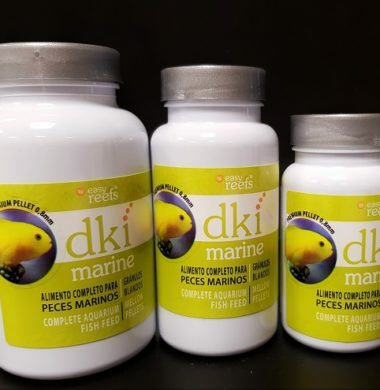 The EasyReef DKI Marine range offers the aquarist a pellet food not only packed with protein, but also the necessary amino acids and nutritional content needed by marine fish to ensure they live a healthy and productive life within your Aquarium. The Easy Reef DKI Marine 1.2mm 70g Fish Pellet is a small-sized, nutrient and amino-packed fish pellet designed by the creators of Masstick. 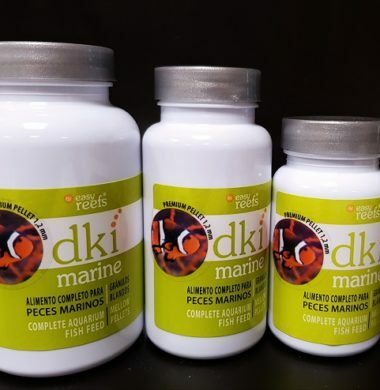 The Easy Reef DKI Marine range offers the aquarist a pellet food not only packed with protein, but also the necessary amino acids and nutritional content needed by marine fish to ensure they live a healthy and productive life within your Aquarium.